Moving Your Business? Overstocked? Hold an Auction! | Wilson Auction & Realty Co, Ltd.
One of the challenges that businesses sometimes face is managing inventory reductions or equipment liquidations. Inventory reductions may be made because of an overstock situation, a location move or closing, or simply just to liquidate outdated merchandise. A business that is closing or moving to a new location may also need to sell a large quantity of equipment or fixtures. The problem that often arises when trying to liquidate or reduce overstocked merchandise is that managing the extra sales can consume a lot of time and energy – time and energy that could better be spent running the business. Fortunately, there is a proven alternative way to reduce inventory or manage location closings: Hosting an auction. 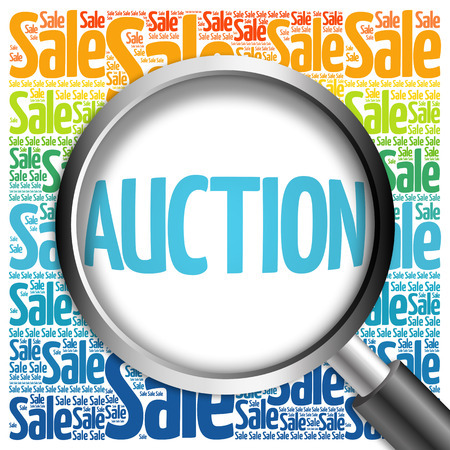 Holding an auction can be the perfect solution for many businesses. An auction brings together many buyers who are motivated and prepared to spend money. Our experienced auction staff can assist in determining what assets are worth and determine the best ways to market the sale to attract interested buyers. An auction service like Wilson Auction & Realty can also provide storage and transportation services as well so your business can move forward with stocking new inventory or closing a location before the inventory is sold. As an experienced auction company, we can help you receive top dollar for your merchandise with minimal effort on your part. There is no need to add the stress of selling overstocked or close-out inventory to your busy workload. Call an experienced, professional auction company instead and let us plan an auction for you. Let our team of professionals handle marketing and selling everything while you focus on running your business. Wilson Auction & Realty Co. is the premier choice for your real estate and equipment auction needs. Our skilled and knowledgeable staff have more than 100 years of combined experience in the auction industry. Contact us today by calling 866-870-5500 to learn how we can help your business sell excess inventory or location furnishings and equipment.